Dont be a dumb blonde! 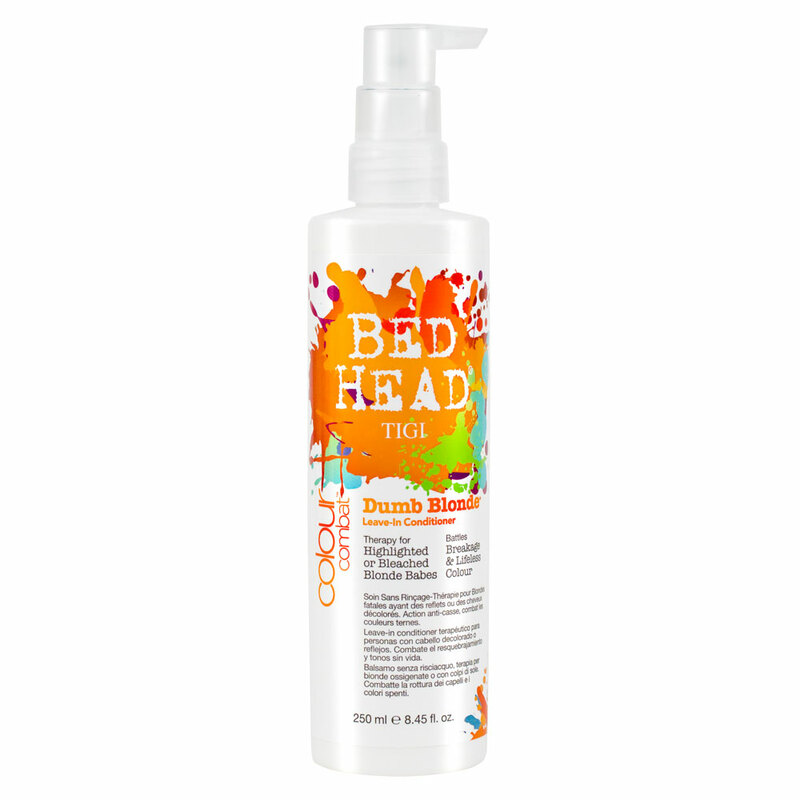 Let your luscious locks sparkle with the TIGI Bed Head Colour Combat Dumb Blonde Leave In Treatment. Check your hair into rehab with this rich and deeply moisturising treatment that is the perfect therapy for blondes. Win the fight against colour fade with the unique colour lockdown technology infused into TIGI Bed Head Colour Combat Dumb Blonde Leave In Treatment. Perfect for highlighted or bleached hair, this hard working treatment is the perfect pick-me-up for all dulling blondes.